OPPO is all set to launch their new “R series” smartphones OPPO R17 and R17 Pro on August 18th in China. Until now we have seen many leaks and rumors on OPPO R17 but now the company has officially listed the device on their website. The product page includes all the specifications along with pictures of the device. OPPO R17 features a 6.4-inch FHD+ display with 19:9 aspect ratio, 91.5% screen-to-body ratio, and a small notch on the top. The display is protected by Corning Gorilla Glass 6. The device is powered by Octa-Core Snapdragon 670 SoC with Adreno 615 GPU, 8GB RAM, and 128GB internal memory. Out of the box, the device will run on Android 8.1 Oreo with ColorOS 5.2 on the top. R17 sports 16MP+5MP dual rear cameras with LED Flash. On the front, the device features a 25MP AI camera with f/2.0 aperture, Sony IMX576 sensor, and 3D portrait support. The device comes with Dual SIM slots with Dual 4G VoLTE support. 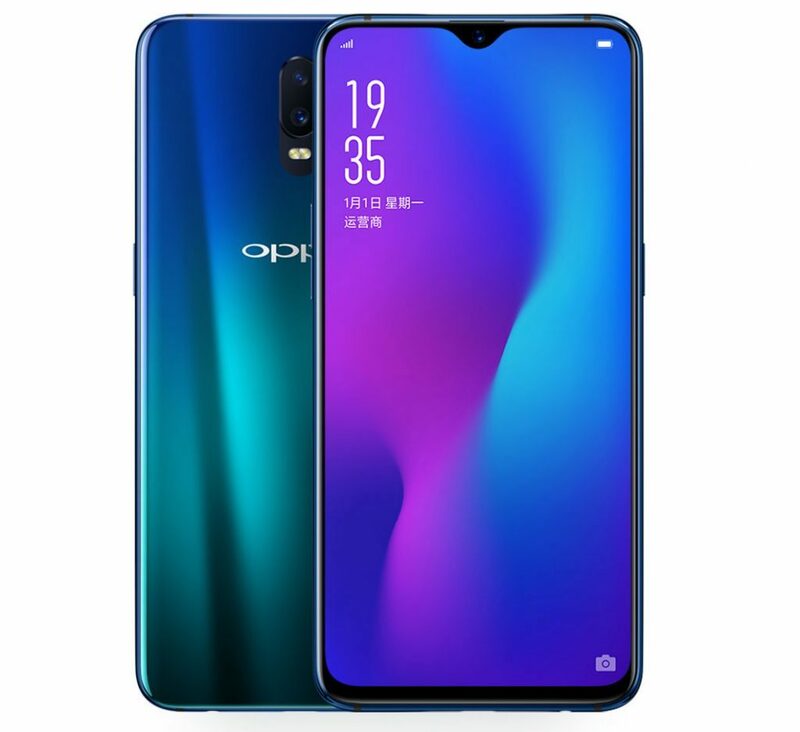 As far as the connectivity is concerned, R17 will have WiFi 802.11 ac (2.4GHz + 5GHz), Bluetooth 5, GPS + GLONASS, USB Type-C. OPPO R17 also comes with an in-display fingerprint sensor. Under the hood, the device has a 3500mAh battery with VOOC Flash charge support for fast charging. 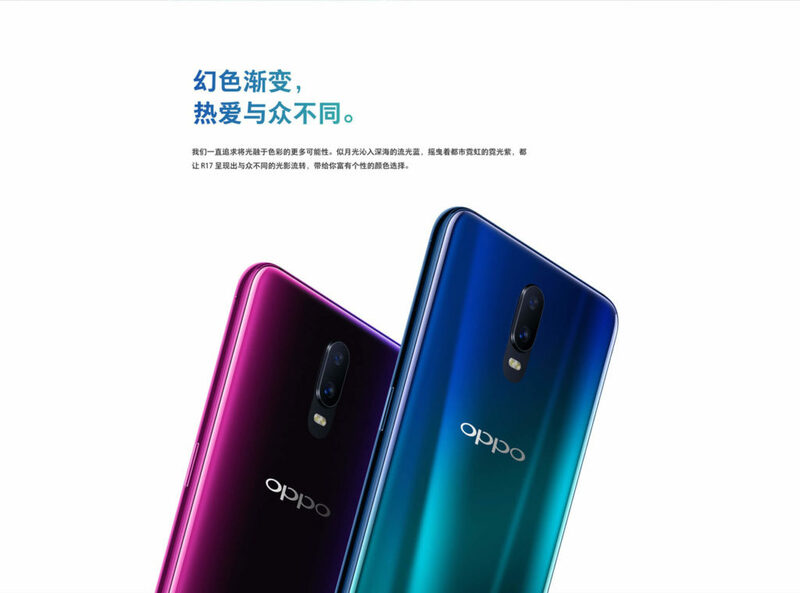 OPPO R17 will launch in Twilight Blue and Starry Purple colors. Alongside R17, the company will also launch R17 Pro which will feature three rear cameras. The listing confirms that OPPO R17 will be up for grab on August 18th.